Today, June 9th, 1934, Donald Duck made his big screen debut in Walt Disney’s animated short “The Wise Little Hen.” Donald was a late comer to the group known as the “Fab Five” (Mickey, Minnie, Donald, Goofy & Pluto). He was so late, he was the only one to premiere in color. Although his birthday is sometimes given as Friday the 13th in shorts and comics, today is the generally accepted date. Donald helped fill a gap in the Fab Five. Mickey Mouse had started to lose his edge and become a more respected figure. Donald’s more wild attitude and quick temper gave Animators a lot to work with. Since then the wily duck has grown a huge fan base, sometimes rivaling Walt’s pal Mickey at the box office and in merchandise sales. Update: A couple people commented wondering why I used an image of Donald Duck as a Nazi here. 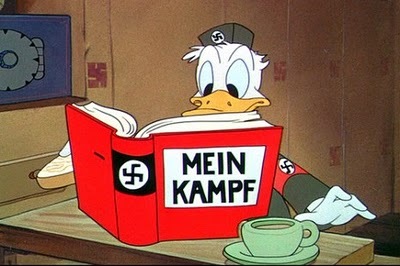 That images is from Der Fuehrer’s Face, a 1942 animated cartoon starring Donald Duck. It was directed by Jack Kinney and released on January 1, 1942 as an anti-Nazi propaganda movie for the American war effort. 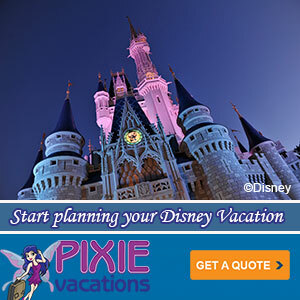 The film won the 1942 Academy Award for Best Animated Short Film. It was the only Donald Duck cartoon to win an Oscar. The short was voted #22 of “the 50 Greatest Cartoons” of all time by members of the animation field in a 1994 survey. So yeah, it was kind of an important moment in Donald Duck’s history. So happy birthday Donald. Thank you for all the laughts you’ve provide the world. Sure, the Food & Wine festival isn’t even over yet, but with winter setting in around the country you may want to dream a little about spring on those cold nights. This year spring starts the earliest ever at EPCOT with a March 3rd launch of the The 17th annual Epcot International Flower & Garden Festival. The event will continue for 75 days through May 16, 2010, and bring bold strokes of seasonal color and brand-new topiary whimsy. Donald Duck and his topiary pals will set up camp in full floral color to celebrate the Great Outdoors at the Epcot front entrance. The elaborate topiary with a North American theme, live waterfall and pond features Goofy in a fly-fishing misadventure, Daisy Duck roasting marshmallows over a campfire and Pluto in his “pup tent.” It will be a a must-stop photo op for guests as soon as they pass through the park turnstiles. 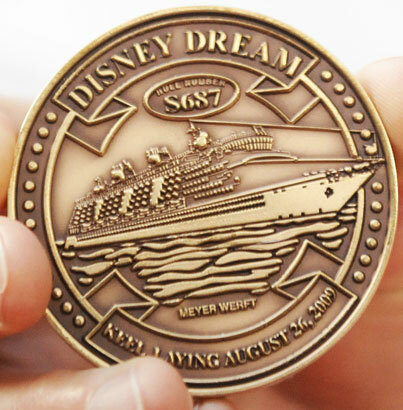 The Disney Cruise Line has celebrated the keel laying of the Disney Dream, the first of two larger ships destined to expand the Walt Disney Company’s family cruise options to more people in more places around the world. 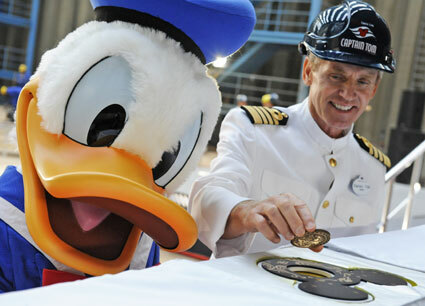 The ceremony, including Donald Duck of course, took place at the Meyer Werft shipyard in Papenburg, Germany. The keel laying ceremony is the first time the Disney Dream will begin to take shape after many years of design work. In the maritime industry, the ceremony marks a momentous occasion when the first block – or section – of the ship is lowered into the building dock and a coin is placed under the keel for good fortune. While you can’t yet see the Disney Dream on the Meyer Weft webcams, they are a fascinating window into the process.